Mulberry School, a private school in Los Gatos, California that serves approximately 200 students, was founded in 1963 with strong progressive roots and a philosophically based experiential approach to learning. Our inquiry-based foundation helps us to evolve curious explorers, collaborative leaders, critical thinkers, confident scholars, and compassionate citizens. We strive to inspire our children and families toward a life of engaged learning, while making active and positive contributions to the world around us. As educators who use a place-based service-learning approach (PBS-L) to teaching and learning, we obtain a clear connective measurement of a student’s academic and social-emotional success. This success is closely related to the positive and observable connections and contributions made by our students at Mulberry. Our intentional connections between the academic and social-emotional results in deeply meaningful work that will help guide and prepare our students for the societal and environmental challenges of the 21st century. It also provides us with a method for creating powerful and purposeful curriculum projects that make a difference in the here and now. Through an ongoing partnership with Community Works Institute (CWI), teams of Mulberry educators have been attending CWI’s Summer WEST Institute, an annual learning lab for K-16 educators hosted by Otis College of Art and Design in Los Angeles. At CWI’s Summer Institute we focus on using PBS-L as a core teaching strategy, with sustainable communities as our collective goal. During the Institute we meet and work closely with other inspired professionals from around the world—participating in a weeklong transformational learning experience. We learn from “outside the box” thinkers and innovators, while being guided through a rich collaborative design learning environment. We have learned much from CWI’s Institute, including how to internalize the difference between service-learning and community service (which we found many schools still struggle with). Bringing the principles of place-based education together with the strategies involved in high-quality service-learning is a game changer. CWI promotes the great power that comes from understanding one’s “place” and the interconnectedness of everyone and everything in that place. Building a strong and flexible sense of place for our students is an important priority for us. We love and now live the idea that we can always find something unique and important in our community when we begin to look more closely and peel back the layers. We find others who share our interest in joining and supporting this connected learning movement. We understand and promote that learning opportunities can be found anytime and anywhere in your community. We have also found a role for our school as part of a larger reflective community. Using our powerful and reflective learning experiences with CWI, along with a fully focused and sharper vision, we return to Mulberry ready to continue our PBS-L journey. We are finding that PBS-L deeply resonates within the hearts of our educators, connects them to our community, and fits their personal teaching style and educational vision. They want to serve the community and mentor their students to do the same. Striving to make the world a better place, PBS-L in action is a most powerful pedagogy for educators to embrace. 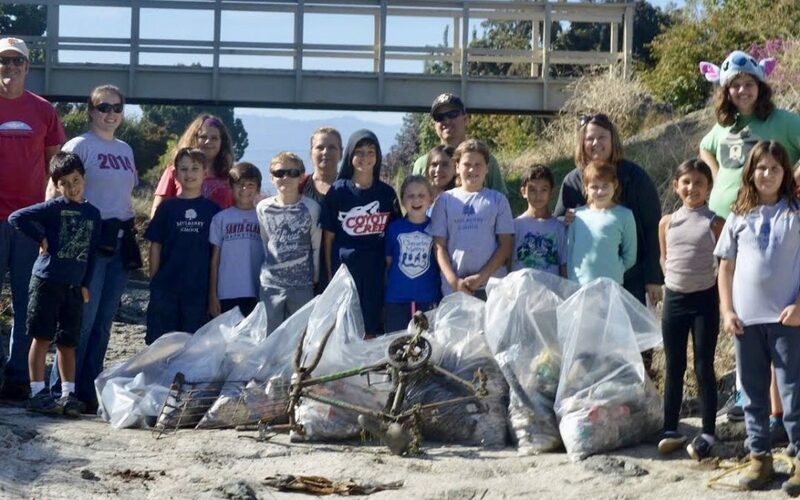 Mulberry’s “service-learning” program, now in its third year, originally began with Steve Holmes, founder of the South Bay Clean Creeks Coalition. Steve visited our school and shared his focus and passion for cleaning up the creeks and taking care of the wildlife in our community. He provided the spark that led to many concrete things, as well as our conviction that we have embarked on a long-term journey. ‘All People, One Planet’ is our current initiative of focus. By inspiring a strong sense of community, we encourage our students to explore the interconnections among all people sharing the environment of one planet. We incorporate these values into our STEAM (Science, Technology, Engineering, Art, and Math) Program using multi-disciplinary and multi-sensory approaches based on lessons from the real world, with a balance of instruction, discovery, and exploration. Service-learning is defined as an educational methodology that incorporates student preparation, service to the community, and reflection, with links to the academic curriculum (Billig, 2006). Through CWI’s emphasis on understanding one’s place as the foundation, we have found that this strategy motivates and excites our students to be the best they can be. Our students are active in the Youth Eco Stewards Project. 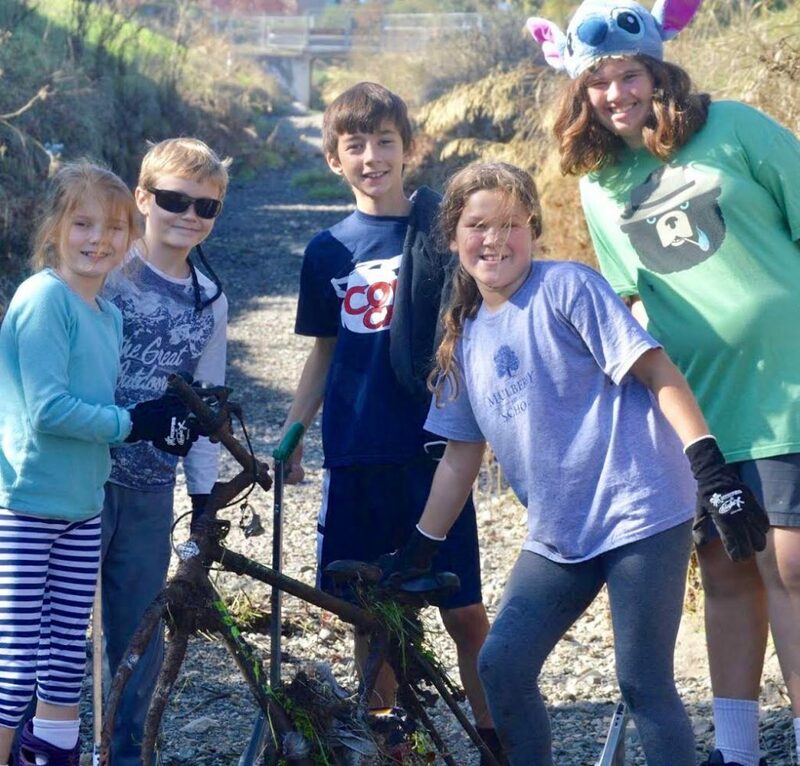 This program, offered by South Bay Clean Creeks Coalition, is structured to provide students in elementary and middle schools the opportunity to learn, lead, and serve as young stewards of the creeks in our area. Through collaborative and hands-on learning, this program supports understanding of our local watersheds. 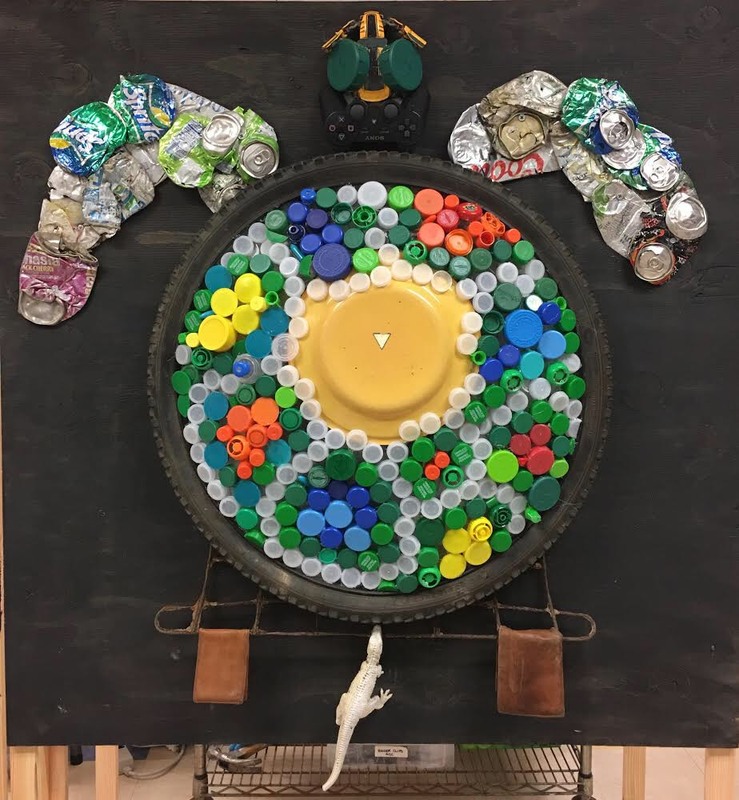 A portion of the trash collected is returned to classrooms where recycled trash art is created. Presentations through South Bay Clean Creeks Coalition educate students on local wildlife. An interactive storm drain model depicts the impact of litter reaching our waterways. By inserting our young people in this process, students safely gain first-hand experience with trash pollution and its impact on these at-risk ecosystems. When the field experience is coupled with classroom education, students experience PBS-L up close and better understand our watershed’s dynamic ecosystem. 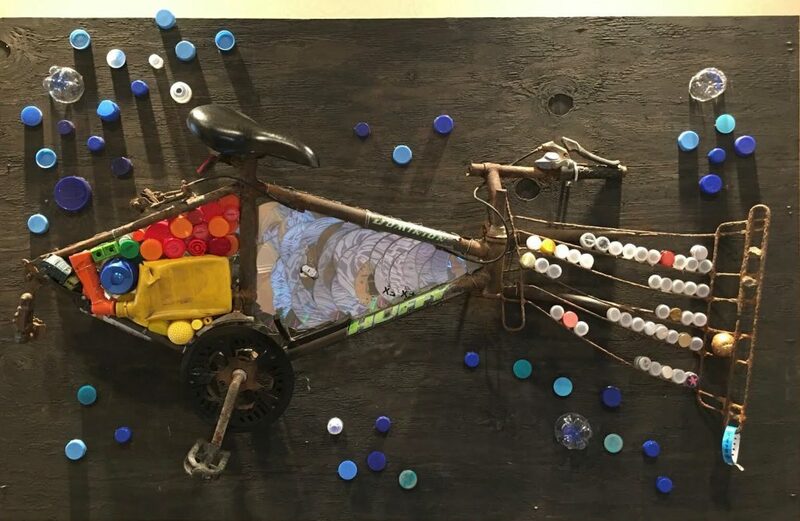 Mulberry School alumna and artist, Katie Peck, has done some extraordinary work building awareness of global impact for our community. Katie has turned beach trash into art and pollution messages for Coastal Cleanup Day in Southern California. Katie turned 1,500 cigarette butts, collected on the beach, into an albatross sculpture. 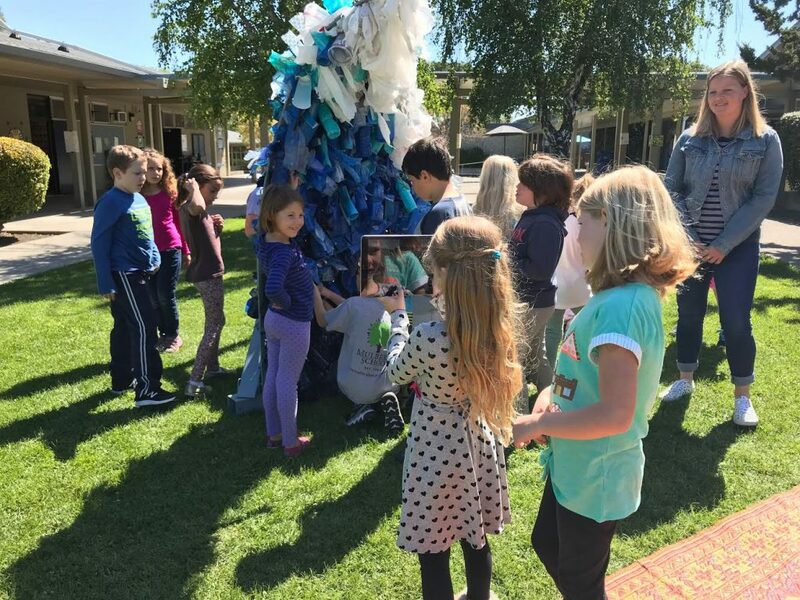 She also designed and built a ‘wave’ made entirely from plastic trash found on the beach that she displayed at our school to help students and the community understand the impact we have on our world. Common Core standard academics address real-world issues around social justice, human rights, and anti-bias principles. Launched in 2017, Mulberry School’s compassionate and global citizens program is designed to develop active, informed, and engaged global citizens for the 21st century by encouraging understanding of our differences from and our commonalities with the world around us. The curriculum rolls out over four years, starting with the individual and extending to the wider community: our school, our state, our country, and our world. Committed to authenticity and cultural relevance, the curriculum draws from resources provided by the Museum of Tolerance, Empty Hands Music, Rock Your World, The Respect Institute, and Facing History and Ourselves to provide age-appropriate learning at every grade level. PBS-L in schools connects learning to communities and the world around us. Ultimately, it enables personalized service-learning practices by giving students the opportunity for voice and personal choice within projects, resulting in deeper learning outcomes. By valuing each of our students’ strengths and interests and taking responsible and necessary risks, PBS-L promotes positive change and a growth mindset in schools. Service-Learning: What Motivated K-12 Teachers to Participate In and Sustain Service Learning Projects? Jane Murphy is the Assistant Head of School for Mulberry School (Preschool-JK-8th Grade) located in California’s Silicon Valley. She holds a Master’s of Art Degree in Educational Leadership, Administration and a Bachelor of Science Degree in Elementary Education with a Psychology Minor, and has over 20 years of experience as a classroom educator. Jane is a proud alumna of Community Works Institute’s Summer WEST Institute, and a participant in Design Thinking ‘Think Tank’ and Apple’s Distinguished Educator’s Challenge Based Learning Summit in Geneva, Switzerland. She is excited to encourage the innovation of Place-Based Service-Learning strategies and practices in schools and believes this work is the future for 21st century education.